From April 10 to 13, Munich is once again the meeting point of the laboratory industry: analytica, the leading international trade fair for laboratory technology, analytics and biotechnology, offers many highlights in the supporting program in addition to the exhibition and the top-class scientific conference program. Intelligent laboratory systems, individual networking, the integration of the laboratory in the corporate structure: Being able to take these steps successfully calls for intelligent digitalization so that the laboratory think tank becomes even more efficient. With the new Digital Transformation forum in Hall B2, analytica specifically addresses these issues and offers all visitors a realistic view today into Laboratory 4.0 of the future: Topics addressed include big data handling, bioinformatics, digital networking and working effectively in the laboratory. The Digital Transformation forum offers expert lectures and discussion panels on all days of the trade fair. The two associations Life Science Research as well as SPECTARIS support the forum with interesting contributions and discussion panels. In addition, the established “Biotech” (Hall A3) and “Laboratory and Analysis” (Hall B2) forums offer best-practice lectures as well as useful tips for daily laboratory work. In the Live Labs Food Analysis (Hall A3) and Material Analysis (Hall B1), visitors can experience all conventional procedures or specific methods in a real laboratory environment. In the Live Labs, the work steps from sample preparation to sample measurement to analysis and assessment of the results are shown. In the Material Analysis Live Lab, experts from industry and science give talks and live demonstrations on the latest developments, for example from the areas of sample preparation, substance classes or quality assurance. Companies such as Carl Zeiss, LAUDA Netzsch and Thermo Fisher Scientific will be there. The Food Analysis Live Lab features innovations in pesticide and residue analysis, possibilities for detecting antibiotics and other pharmaceutical agents and mycotoxin analysis. 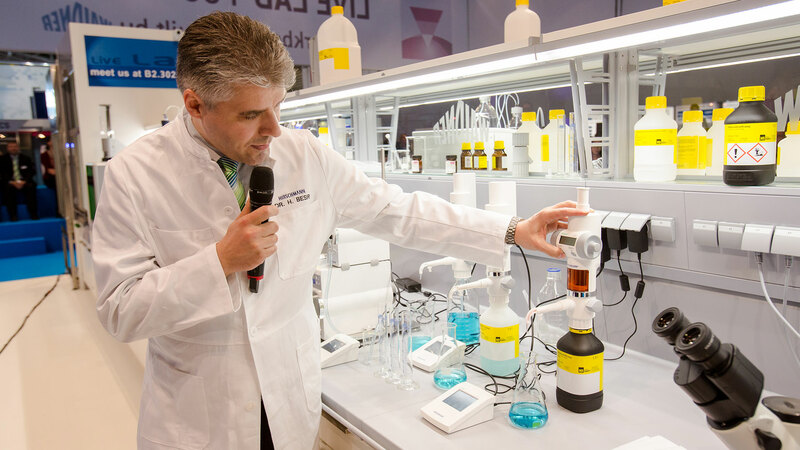 Exhibitors such as Analytik Jena, Carl Zeiss, Hirschmann Knauer and Thermo Fisher Scientific present their products and solutions within the framework of the Food Analysis Live Lab. The lectures take place from Tuesday to Thursday at 11:00, 13:00 and 15:00 each day as well as on Friday at 11:00 and 13:00. Personalized medicine—Where is the journey taking us? At the Personalized Medicine Theme Day on April 13, experts from biotech, pharma and IT diagnostics companies, associations and clusters will discuss the current status and the future direction of personalized medicine. The events will be kicked off by Dr. Friedrich von Bohlen und Halbach, Managing Director and co-founder of dievini Hopp BioTech holding GmbH & Co KG who will start the Personalized Medicine theme day with a glimpse into the future. This will be followed by an extensive lecture program which will address, for example, the benefits provided by approaches such as precision medicine and also what economic effects this will have on the healthcare system. A panel of the lecture program additionally addresses the megatrend of digitalization and the associated question of how useful smart data can be obtained from big data (“One in a million—your data will be king” | 12:45 to 14:00). How can accidents in the laboratory be avoided? This question is posed by the special exhibition on occupational safety and health at analytica. The practice-oriented experimental lectures clearly show how important occupational safety is in the laboratory. The special exhibition was held at analytica 2016 for the first time with its own space in Hall B2. 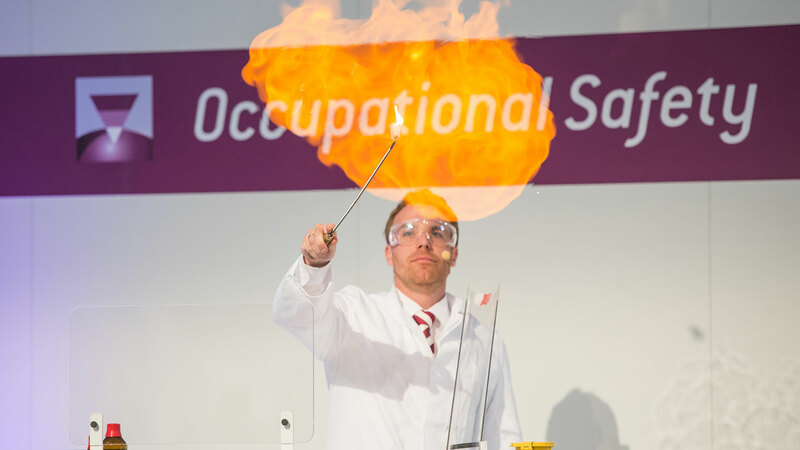 More than 1800 visitors learned how quickly a hazard or accident can occur in the laboratory and how one can protect oneself and also colleagues and employees. The experimental lectures at the special exhibition area in hall B2 each last about 30 minutes and are held every day at 11:00 and 15:00 in German and at 14:00 in English. In addition, analytica, in cooperation with Klinkner & Partner, offers the proven continuing education and training sessions, the analytica Job Day with a comprehensive overview of courses of studies and careers in the natural sciences, as well as the Finance Day with information about financing options for start-ups. 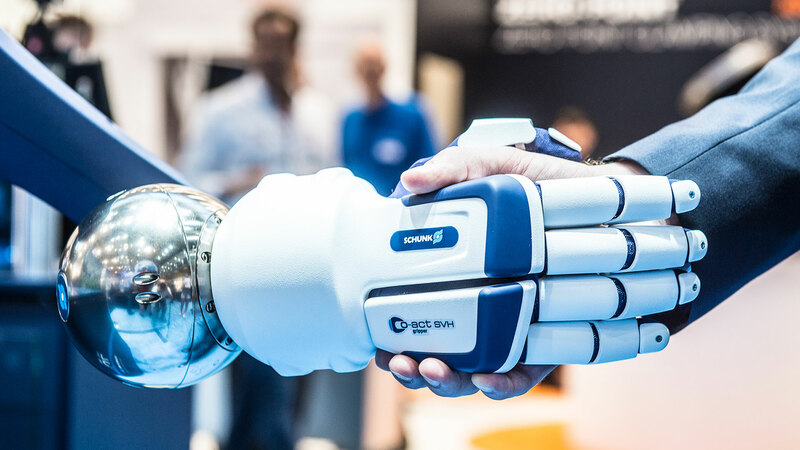 Two shows one date—ceramitec, the leading international trade fair of the ceramic industry, is taking place at Messe München at the same time as analytica. Joining ceramitec is free for analytica visitors.